03/20/2018 | News | Sparrow, J. As you probably now know, the world lost a true champion for children and families with the peaceful passing of Dr. T. Berry Brazelton on Tuesday, March 13th at his home in Barnstable, Massachusetts. Wonderful obituaries have appeared in the website of Harvard Medical School, New York Times, the Boston Globe, the Washington Post, and the Los Angeles Times, or another article in New York Times among others, while NBC Nightly News (video clip starts at 0:28), National Public Radio, and other media outlets in the United States and around the world have profiled Dr. Brazelton and his accomplishments. We are deeply touched by the outpouring of tributes, support and well wishes, and look forward to seeing many of you in Boston at the celebration of Dr. Brazelton’s life on Monday, April 23rd. The Dr. T. Berry Brazelton Symposium and Celebration will focus on honoring the life and legacy of a true revolutionary, as we carry forward Dr. Brazelton’s work into the future through the Center he founded two decades ago. More information about the event can be found at www.brazeltontouchpoints.org/honor or by contacting Michael Accardi. Dr. Brazelton’s contributions have forever changed the lives of millions of children and families for the better, and together we will ensure that this is true for generations to come. 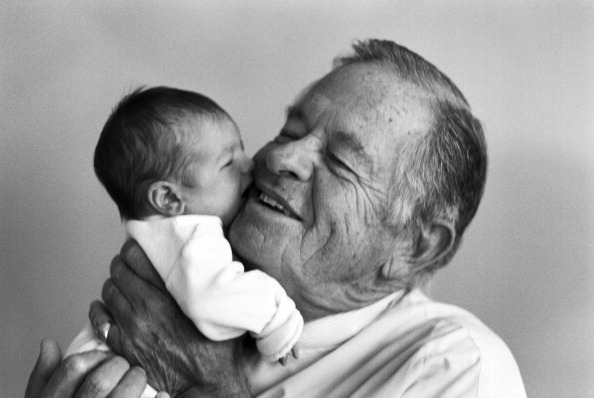 On behalf of the entire Touchpoints family, thank you for all that you do, and may we all fondly remember our dear friend, colleague, and mentor, Berry Brazelton. In lieu of flowers, memorial contributions may be made to the Brazelton Touchpoints Center – www.brazeltontouchpoints.org/support-our-work/donate to ensure that Dr. Brazelton’s work continues on.